Hey all, I've been working since early 2015 on a remake of the original Master of Orion from 1993. 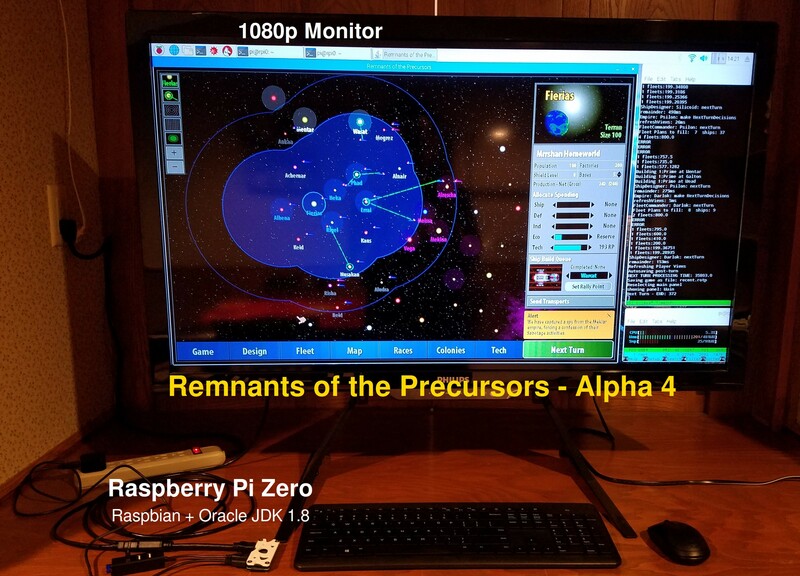 It's totally free and moving along in great shape with the 4th alpha release earlier this month. It's already very polished thanks to so much tester feedback. The artwork and writing are amazing, and it's currently available in 4 different languages. There are a ton of images on the itch.io page for the game, but one of my favorites is this one of the game being played on a Raspberry Pi Zero!